Desiring to strengthen your faith and deepen your relationship with God? 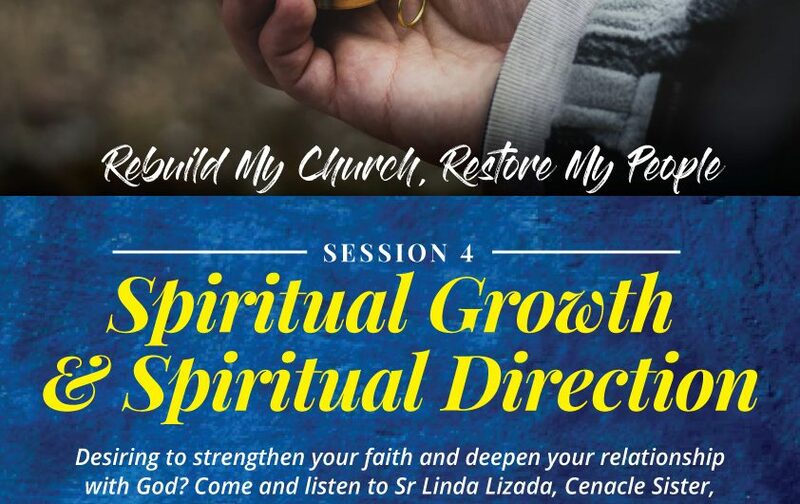 Come and listen to Sr Linda Lizada, Cenacle Sister, on Wed 29 April 2019 from 8pm – 10pm at the main church as she shares the importance of spiritual growth and provides some guidance on how to improve your interior life as disciples of Christ. All are welcome!